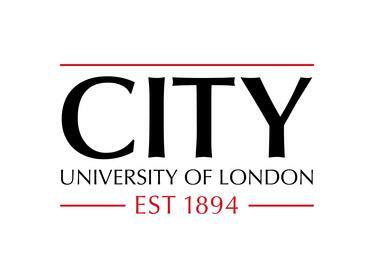 City University of London is continuing its investment in academic excellence by offering a number of fully-funded, full-time, 3-year Doctoral Studentships to both local and international students. The School is continuing to invest in academic excellence following its success in the recent REF 2014 which highlighted the world class quality of its research. The International Politics Department within the School of Arts and Social Sciences is pleased to announce a three-year full-time University Doctoral Studentship - the International Politics PhD Full-Studentship. And the School of Mathematics, Computer Science and Engineering is also offering Seven doctoral studentships. Financial aid has traditionally been for excellent students. Applications for these Doctoral Studentships are invited from exceptional UK, EU and international graduates wishing to pursue cutting-edge research in any of these School's key research areas. Applicants whose first language is not English must have achieved at least 7.0 in IELTS with a minimum of 6.5 for each subtest. Doctoral level research areas at the School of Mathematics, Computer Science and Engineering (including Data Science, that is, the study of methods and algorithms to enable new insight and value to be obtained from data.) AND also at the School of Arts and Social Sciences. Please see official website (link to it below) for a complete list of research areas. See Doctoral level research study in the School, Department or Research Centre in which you hope to study at City. A full tuition fee for UK and EU students. Applications are welcome from overseas applicants but the applicant must make appropriate arrangements to cover the difference between the overseas and UK tuition fee. Applications are invited from exceptional UK, EU and international graduates wishing to pursue cutting-edge research in any of the School's key research areas. The above documents should be compiled into a single document and submitted to pgr.smcse.enquire@city.ac.uk by the 19th May 2017. The deadline for application for the International Politics PhD Full-Studentship is May 31st 2017. While application deadlines to the School of Mathematics, Computer Science and Engineering is: April 10th 2017 for Mathematics, and May 19th 2017 for all others. To find out if you might be eligible, or if funding is available, please contact the School, Department or Research Centre in which you hope to study in order to discuss your research proposal and establish whether you can be supported. City, University of London is a public research university in London in the United Kingdom. Until 2016 it was the City University, London, or colloquially, just: City. It was founded in 1894 as the Northampton Institute and became a university when The City University, London, was created by royal charter in 1966. The Inns of Court School of Law, which merged with City in 2001, was established in 1852, making it the former City University's oldest constituent part. On 1 September 2016, City joined the federal University of London, becoming part of the 18 Colleges and ten research institutes that make up the University.